In eastern Nova Scotia lies the Town of Antigonish, a name which means "the place where tree branches are torn off by bears gathering beech nuts" in the language of the Micmac, or Mi'kmaq; the indigenous people of the Gaspé, Canada's Maritime provinces and New England. Carved out of the then Diocese of Halifax came the Diocese of Arichat in 1844. When the population and development occurred elsewhere, the seat of the bishop was moved from Arichat to Antigonish and the diocese renamed. It is the home of "StFX", St. Francis Xavier University. The Diocese of Antigonish is also the home of group of Catholics; Roseanne Skoke-Graham, Kathryn Doris Skoke, Margaret Martin, Veronica MacFarlane, Christopher MacFarlane and Rosalie Hafey who attended Our Lady of Lourdes Parish Church in Stellarton. These Catholics were arrested and convicted under the Criminal Code of Canada pursuant to s.172(3), Disturbing Religious Worship. Before the Supreme Court of Canada in Skoke-Graham v. The Queen,  1 S.C.R. 106. an appeal was granted. Now what did these badly behaving Catholics of Antigonish do? Why they knelt for Holy Communion! For kneeling to receive their LORD in the Holy Eucharist, their Pastor and their Bishop had them arrested and charged and convicted by Her Majesty's government. A decade later, Pope John Paul II issued Redemptoris Sacramentum in no small part, because of these heroes of Antigonish. Almost 20 years later another bishop came along causing infamy for the Church at Antigonish. This bishop with all these letters after his name; B.Th., L.Th., Ph.D., D.D., a name which I will not repeat out of disgust, must have been a "professional liturgist" given the destruction wrent upon the Church in Canada with the wretched CBWIII (go ahead, read the Introduction). He must have been a "theologian" given all the great vocations springing up all over eastern Nova Scotia. The truth is, he was none of these but according to some in the Church in Canada he was considered to be a "kind and gentle pastor, particularly sensitive to the needs of those who have suffered the scourge of sexual abuse." Wait, did I read that correctly? Who would write such an apologia? The Catholic Church and the good people of Antigonish have suffered long enough. And look who's coming to help them! Roman Catholic internet sensation Michael Voris is coming to Antigonish, Nova Scotia. He will be the keynote speaker at the For the Beauty of the Church conference which will be held June 24-26, 2011 at the Claymore Inn and Antigonish Conference Center. Spiritual events will be held at St. Ninian’s Cathedral. 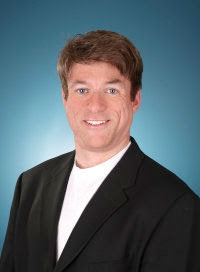 Voris, an Emmy award winning broadcaster, is President and Founder of St. Michael’s Media and a collaborator with http://www.realcatholictv.com/. 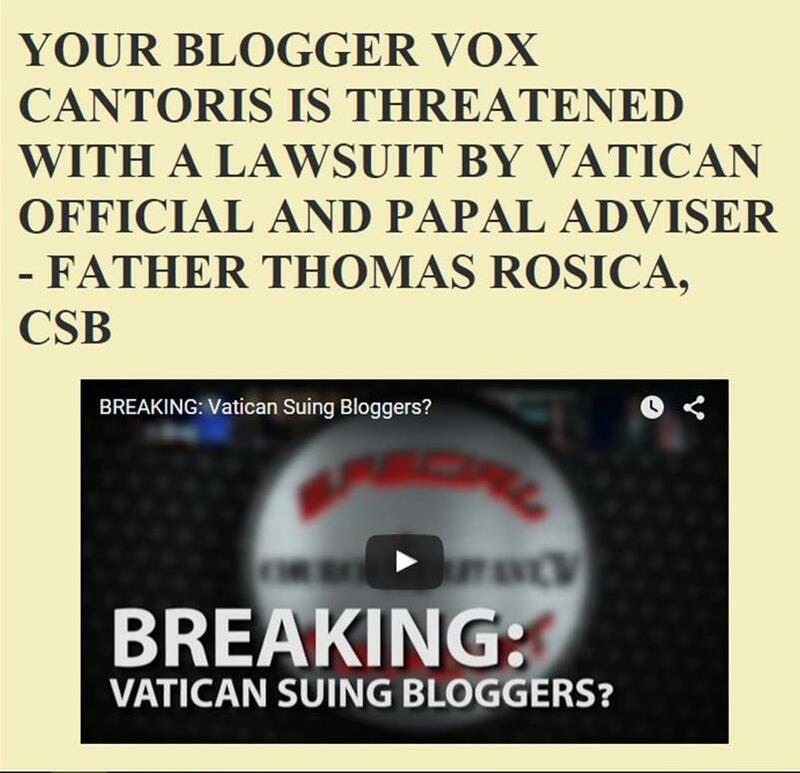 The Vortex, of which Michael Voris is the creator and host and which has been seen by millions of viewers, is just one of the many innovative programs you will find on RealCatholicTV. With a passion for saving souls, Voris epitomizes what it means to be a member of the Catholic laity today, utilizing tools of the 21st century. He will be assisted by Fr. Paul Nicholson who was ordained in 1997 and is a pastor for the diocese of London, Ontario. He is a humorous and dynamic speaker who is passionate about being a Catholic and passing on the faith to those striving for Holiness. He is an enthusiastic and energetic preacher who will offer practical assistance to men and women to find and serve Christ in the midst of ordinary life. Together they will explain the history of dissent in the Church and how it has inhibited genuine renewal following the Second Vatican Council. The objective of this conference is to behold the awesome “Beauty of the Church” founded and sustained by Jesus Christ. We will be comforted to know that some things remain consistent, true and strong, our Catholic faith. Join us as we begin a process of restoring the Catholic Church to Her former glory. I live in the Diocese and knew nothing about this. I guess it shouldn't come as a great surprise that this actually happened though. I can't help but wonder if those who supported the charges against these dear people were part of the group of 58 intellectuals described by that same bishop as "the cream of Antigonish", who supported the infamous Winnipeg statement. I would have been in attendance at ST FX at the time this appeal was heard in 1985 and admittedly not really paying much attention to such things. And quite frankly, I don't remember anyone speaking of it. You would think that would have been big news, that the Diocese took such action against people who can only be described as faithful Roman Catholics. The more I learn about what has gone on in this area the more disturbed and sad I feel, and the more I understand why things are such a mess here. What a great thing to have Michael Voris come to Antigonish. I hope the place is packed to the rafters. I myself am considering attending that weekend if I can make the arrangements. I live 3 hours away. There have been some very small signs of hope that things are changing for the better, but overall it's not pretty. If the Diocesan website ever takes down the link to the "Fishwrap" and stops selling it as reference material for "adult faith formation" (whatever the hell that means), well that would be a good start. Another good thing would be the return of the TLM to Monastery. What a blessing the sisters are to this area. I was only able to attend the TLM once (my first and only) before it ended. Rumours have floated around that the Bishop forbid it. I hope that's not the case, but if so maybe the new clarification on SP will bring an end to such silliness. Anyway, thank you for allowing me to ramble here. Please pray for us on the East Coast! And God bless you! I would love to be going to this event. Yup...things are really awful in the Maritimes. I always used to say that this was "part" of the reason why I moved to Toronto, but if I'm totally honest it's the only reason. Once I began to learn about the Traditional Mass and our tradition itself, I could not tolerate the disconnect any longer. I feel your pain Capebretoner because as a Caper myself I long for the days when I can be at a Traditional Mass in my home parish in Arichat. It still has the high altar so it is possible if the "career catholic" would just get out of the way. If I ever have to move back, I hope to join the fight to bring back Tradition. We were down in Cape Breton last summer and we were encouraged to drive over the Causeway to Monastery for Sunday mass. Beautiful church and the priest Fr. Decoste(?) was terrific. Halifax diocese is in much better shape than Antigonish. Theresa B.: I am sure it was Father DeCoste who offered the TLM the one time I attended Mass at the monastery; which was also the first time I ever attended the TLM. I will never forget that day as long as I live. Ours was a Novus Ordo mass but very reverent and the nuns sang well. Is he still there - I thought he was moving up to the Peterborough diocese? BTW, both my parents were born in CB! Very protestant mentality in the churches down there - like they own the churches! I wrote to the Bishop before Paul Lakeland went to speak last fall and he said that this was organized before he arrived in the diocese and it looked like he was OK.?? I think it is going to take alot of prayer and strong Catholic Leadership to turn the tide down there! Michael Voris was awesome and so was Fr. Nicholson. I wish all of our priest's were modelled from him and our past and present Bishop too.... maybe then we wouldn't be in the shape we are in. I know some parishes in C.B. where posters had been put up on their bulletin boards and were taken down by the next weekend(no doubt by liberalists or New Agers). The Catholic Church is a treasure beyond our wildest dream and sadly we have Satan who is trying to destroy it by destroying its seven sacraments. Please pray for our priests and our Bishop because unfortunately they are front liners in this battle who have been struck and many have succumbed to this secular world and the snares of the devil. They do need our prayers and support...for the Beauty of the Church! There is a war going on--a spiritual war.The conference in Antigonish this weekend June 24 26 was awesome. Finally we heard the Truth and we must remember Truth comes before unity.How can we have unity when one group follows the Magisterium and the other follows dissident theologians? This weekend helped me realize how courageous I must be in standing up for Jesus Christ and the Roman Catholic Church! !